Famous as "De plane, De plane" from the '80s TV series, Fantasy Island, the Grumman G-44 Widgeon is a fast, rugged, six person, twin engine, high wing cantilever monoplane amphibious flying boat designed for coastal sea operations which first stroke the sky on July 22 1940. Continuing the indomitable Grumman Bethpage 'Ironworks' proud history of naval aircraft construction, the Widgeon was built to meet the over whelming calls for a smaller version of the classicly indestructible G-21 Widgeon. As the Goose's pretty little sister the Widgeon has been described by operator Owen Harnish as a sportscar compared to the delivery van like Goose. Used extensively by US naval forces in the second world war, the greatest virtue of the Widgeon is its phenomenally strong construction designed especially for sea water conditions. This strength has enabled Widgeons to withstand years of rough sea landings which would have snapped floatplanes. This strength is also the reason why Widgeons were able to operate 360 days a year from the rough Mechanics Bay in Auckland, New Zealand. "Visions of freedom come in many forms, one of which is an airplane that's equally at home whether on land, on water, or in the air. Although an aerodynamic compromise, the amphibious airplane is viewed by many as a virtual freedom machine that can, in many parts of the globe, function independently of runways. To carry the vision one step further, the small, personal amphibian means huge personal freedom. 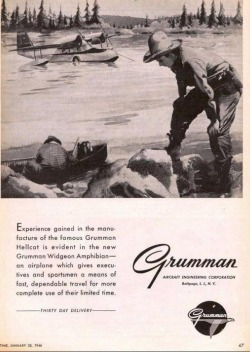 And so, on the seventh day, Grumman produced the Widgeon-its answer for those seeking freedom and utilitarianism at their extremes. " "It feels like a little sports car; you almost wear the airplane." "It's a nice personal-size airplane." "It's the only way you can get around Alaska." "Its a Grumman Iron Works airplane." - John Schwamm, who has owned four Widgeons. 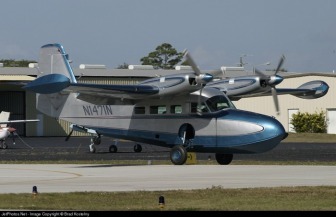 the Grumman Widgeon would win hands down." "At Christmas the adult population (of Stewart Island, NZ) was particularly delighted to see their alcohol supply arrive by air and many considered this Widgeon service was improving their quality of life!" "Feels like a sports car to fly, very light on the controls. With land and sea capability there is not much in this size that offers the performance of a McKinnon Widgeon." "It was wonderful, I'm just sitting there happily and we go in to the water and, oh my God! Everyone was sitting there calmly and so did I and away we went. . . .There were times it was rough, I mean really rough, but it was great. They managed to get off inch by inch but by that time I was quite blasey. I just treated it as an adventure and went with the flow. . . I had some amazing adventures in those planes, great hilariously times!" - Mrs. Tracey Wotherspoon, Herne Bay resident (Auckland, N.Z.) who flew dozens of times in the Sea Bee Widgeons to outling schools in her capacity as an Auckland Board of Education official in the '70s & 80s. Initial Production Models called G-44s built just before & during the war & Post war models G-44As and French Scan 30s. The US Coast Guard purchased 25 Grumman J4F-1 aircraft, a light amphibian utility transport, for search and rescue duty at a cost of for $75,526 each. They were purchased in two batches beginning in 1941 and the initial order consisted of eight aircraft, purchased under contract TCG-33459, with the first aircraft delivered from Grumman on 7 July 1941. These aircraft were given USCG service numbers V197 through V204. The following year the second batch, consisting of 17 aircraft, was acquired under contract TCG-34026. The first J4F from this batch was delivered to the Coast Guard on 25 February 1942 and the final was delivered on 29 June 1942. These aircraft were given the service numbers V205 through V221. Powered by 2 Ranger L-440-2 in-line engines with Sensenich wooden fixed pitch propellers, they performed well on missions of all kinds. Most unusual was the ASW version carrying two depth charges on bomb racks under the wings. This Widgeon in the photo was number V202. "The SCAN widgeon was factory built in France under license from Grumman, it had Lycoming Radial engines installed at the factory. The SCAN widgeon had very little corrosion proofing when they left the factory, this leaves them very susceptible to corrosion. . . The factory engines from France were the 200 HP Salmson 8 AS-00 engines. I have only seen 1 factory picture of this engine/cowling combination. The "SCAN" Widgeons, as is commonly referred to, did not have the factory anodizing that Grumman had put on their Widgeons, had metric fittings and hardware, just to name a couple of the differences. Their are quite a few SCAN Widgeons flying, the 2 original TIO-540 powered Magnum Widgeon conversions are both SCAN's, and the 2000 Oshkosh Reserve Grand Champion was a SCAN30 Widgeon, I believe that there are about 10 flying SCAN Widgeons in North America." The Société des Constructions Aéronavales or SCAN was a small company based at La Rochelle. During the war they had designed the SCAN 20,a four-place trainer with an engine mounted on struts above the fuselage centre driving a 3-bladed pusher propeller. The SCAN 20 prototype made its first flight after the war on 6 October 1945. The French navy ordered a small batch of 23 production machines fitted with a Potez 8D30 engine of 450 hp. After the construction of the SCAN 20 was terminated, this small firm introduced for both civil and governmental use an all-metal small amphibian flying boat as the SCAN 30. 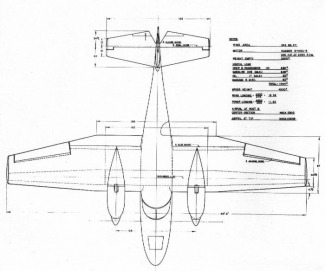 The SCAN 30 had a very close resemblance to the US Grumman Widgeon. This was not by accident, but purposely since SCAN had acquired the licence construction rights for this American type for production in their La Rochelle plant. The SCAN 30 was offered with various type of engines as demanded by the customer. 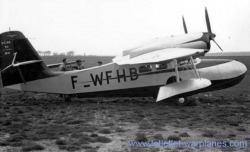 The SCAN 30 prototype F-WFDM made its maiden flight on 14 May 1953 fitted with Gipsy Queen II engines. In total SCAN manufactured a batch of 41 of this versatile small amphibian. They were delivered to various world-wide customers but most of these were in fact directly exported to the United States. It is possible that some of them are still flying around, most likely as a ‘Grumman Widgeon’.After production of the SCAN 30 was terminated, the company was not further involved in aircraft construction, but in the construction of boats. Even in 1976 two flying boat airframes were auctioned by SCAN as scrap and most likely these were SCAN 30’s and they could have been the never-sold c/n 17 and c/n 18! 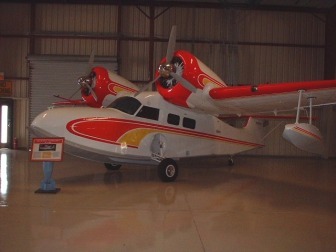 US firm McKinnon Enterprises offered conversions during the 1960s to both the Grumman Goose and Widgeon. McKinnon’s Super Widgeon conversion involved fitting G44As with Lycoming GO480 flat six cylinder engines driving three-blade propellers, which significantly boosted top speed, climb performance and range through improved fuel economy and extra fuel tankage. Other changes incorporated on the Super Widgeon were then modern IFR avionics, new wider cabin windows, more soundproofing, an emergency escape hatch, and optional retractable wingtip floats. Modifications to the hull and structure, meanwhile, allowed an increase in the Super Widgeon’s maximum take-off weight. The G-44A was redesigned for the civilian market from the lessons learned during tough military operations during the war. Seating was increased to six and a new hull was made to improve its water handling. 50 of the 383 Widgeons were later converted to Super Widgeons by McKinnon Enterprises. These much more power Widgeons had 270hp Avco Lycoming GO-480-B1D flat six piston engines / modern avionics / 3 blade props / larger windows /improved soundproofing / emergency exits / increased MTOW / optional retractable wing-tip floats. The Fantasy Island Widgeon is a Masandorf Widgeon. It uses Lycoming engines, so externally it may resemble a French built SCAN-30 but is none the less a Widgeon. A pair of Widgeons were donated to the fledgling IAF in 1948 by the Dutch millionaire Bernard Van Lear. The Widgeons were employed on cargo flights between IAF bases and were usually land based. On December 2nd 1948 one of the Widgeons crashed while attempting to land on the Sea of Galilee, killing the three foreign volunteers aboard. 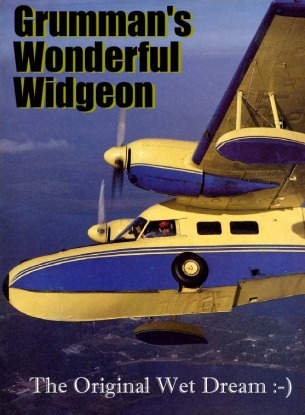 The second Widgeon was retired in 1949. Civil Air Patrol Widgeon NC 28674 cn1213 flown out of Base 1 New Jersey flown by CAP Commander Wynant Farr and Captain Johnny Haggin sunk a U-boat, a kill which was later confirmed. This U-boat killer is still alive and flies in Alaska as N199tT. There's a fair bit of confusion of another Widgeon U-boat attack. Its mistakenly believed by some that a United States Coast Coast Widgeon, V-212, flown by White & Boggs attacked and sunk U-boat U166. Post war research later found that on the day in question they actually attacked U171 and missed completely. An expedition run by Shell Oil confirmed this a few years ago when they found the wrecks of U166 & its last victim the SS Robert E. Lee laying together just off the Mississippi River mouth. 8 G-44K-30 registered, can not calculate as don't know if these 8 were 44s or 44As. The three lucky states with the most Widgeons are Alsaka (31), Florida (17), and Washington (10). 10 SCAN Widgeons are reported to still be flying in the States as well. The British name for the Grumman Widgeon. 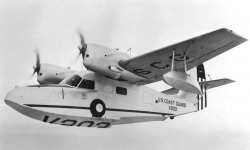 A Gosling is a baby Goose as the Grumman Widgeon was a smaller version of the Grumman Goose. Gosling was later changed to the American Widgeon name to avoid confusion. 3 BLADED PROPS : used on the Super Widgeon whose engines are geared so that at takeoff the engines turn 3,400 rpm but the props go much slower, giving more torque and allowing shorter water runs. DROOP TIPS : Extend each wing by 2 feet and reduce induced drag. EMERGENCY ESCAPE HATCH : Abandon Widgeon! LARGER DOOR : Making it easier for McDonald's customers to slid in & out by adding a small door above. MORE SOUND PROOFING : What did he say? WIDER CABIN WINDOWS : Its a lovely view outside.